Shaun Ross is an American model, actor, and dancer. He is known for being the first male albino model. He is African-American. Shaun’s maternal grandfather was named Harry E. Tuck. His maternal grandfather was Harry E. Tuck. but it would be also strange if i would have a black color on my face ! First of all, saying someone looks strange is rude. Secondly, he was born with an extra bone in his nose which is something most blacks and whites don’t have. Black people have a variety of features just like white people. 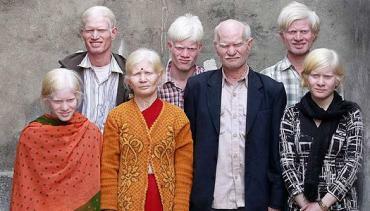 Those Indian albinos still look Indian to me and just because you think Asian people have nice features doesn’t mean you aren’t racist. 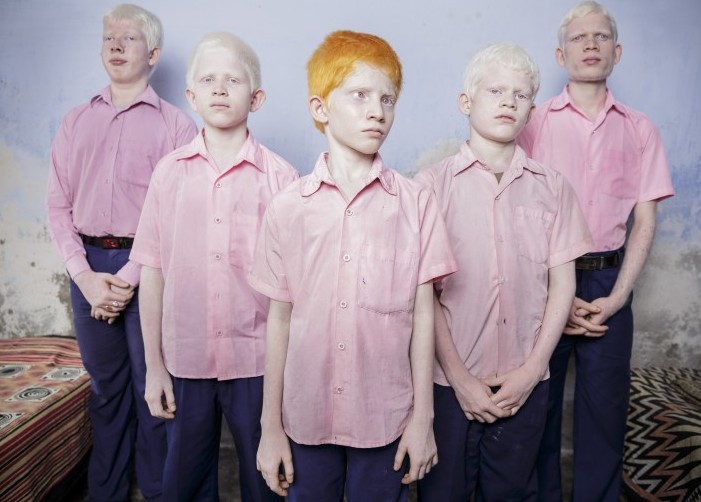 They look no different to European albinos. Indians still have Caucasian features, despite their brown to black skin. Black people have a different bone structure on the face, that makes them look distinctively black. Not sure why that’s a bad thing. What you say about African features vs Indian features isn’t racist but more ignorant (meaning not knowing) than anything. Africa is a continent with a vast variety of ethnic groups and phenotypes. Some Africans like the Touboo, Tuareg, Beja, Fulani, Amhara Ethiopians and some Kenyans have small to big thin noses, small lips, and in some cases straight to wavy hair. Many Yoruba Nigerians and San Bushmen have seemingly Asian features. In India it depends where in the equator a particular ethnic group lives because black skinned Tamil speakers can have larger noses and fuller lips. Hindu Indians depending on the caste have more so called “Caucasian” features other parts can have Far Eastern features. 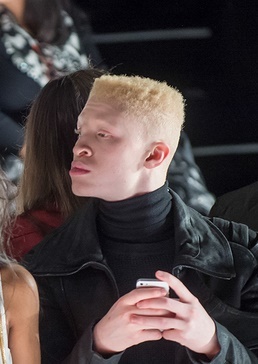 Shaun Ross’s features are unique and exotic which ids why there is a demand for his look because he stands out. He looks like a Sub-Saharan African who fell in pink-vanilla paint. this is more than enough proof that european features are favoured over poc features. stop acting like ya ski slope nose and no lips is the definition of beauty, debby. it s not just the skin color but also bone structure etc.